Whenever we think of kozhukattai we are reminded of Vinayakar chaturthi. It is believed that lord Ganesha loves kozhukattai. Even kids love this dish because of its shape. We can show our creativity by preparing this dish in different shapes and also using different stuffing. During the first vinayakar chaturthi after my marriage my mother in law gave me the task of making the cups and filling it with 'poornam' i.e. the sweet. You know how much I struggled. Seeing my pathetic situation, my husband took over my job. But now, I am very happy that I am able to prepare this dish all by myself. Ye me!!! If I could do, trust me you can too. So try and let me know how it came. Below I have given the method for sweet kozhukattai, which is the most desired and also using my own creativity I have also given the method for preparing vegetable kozhukattai. 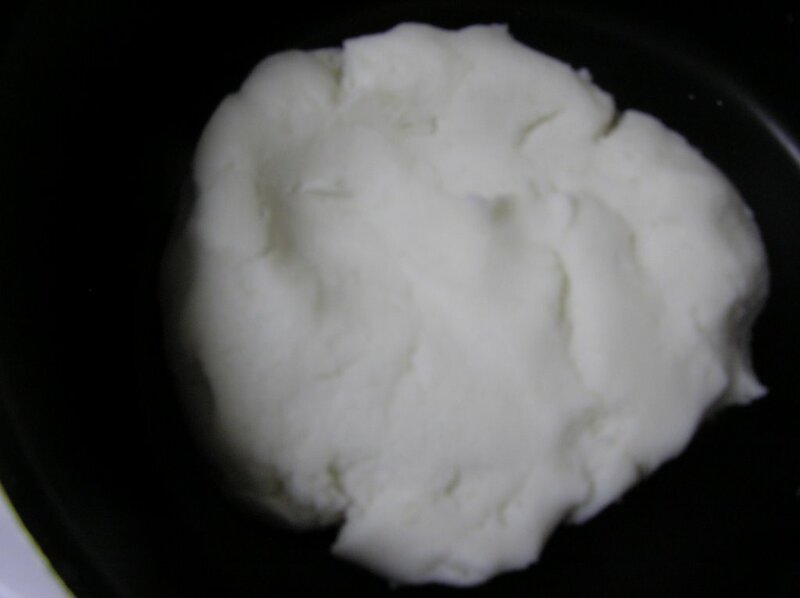 Mix ½ cup of milk , 1 ½ cups of water to the rice flour, ghee and a pinch of salt together. Heat the batter in a pan (preferably non stick) and keep stirring without any lumps, till it forms a chapati dough consistency. When it is cooled add 4 tsp oil to that and knead it into a soft dough. Make small balls out of this. Now for the filling mix the jaggery, coconut and cardamom powder in a pan and heat it for 5mts. After it is cooled down, make them into small balls (smaller than the rice flour balls). Make a cup shaped cover from the rice flour balls and place the jaggery ball inside it and close it from all the sides. Pressure cook it in Idly plates for 6mts and serve hot. 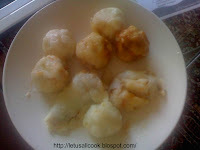 Prepare the rice flour balls in the same method as mentioned above. For filling prepare this vegetable mixture. First, in some oil add mustard seeds. When it pops, add cumin seeds and Hing. Add Onions and fry for some time. Add all the shredded vegetables and fry them for some time. Add chilly and soy sauce and mix them well. If you do not have chilly sauce, use finely chopped green chillies. If you do not have soy sauce it is OK.
Use this mixture as the filling for kozhukattai and proceed doing the kozhukattai the same way as we did for sweet kozhukattai. When you make this vegetable kozhukattai, kids will eat them without making a fuss.